Since its inception, the North West Housing Partnership (NWHP) has been a leader in developing affordable and senior rental housing. To date NWHP has developed over 400 units of affordable rental housing for seniors throughout the North and West suburbs of Chicago. Sugar Grove Senior Living is a newly constructed independent senior living community, which opened its doors in October 2015. PIRHL, LLC, through a joint venture with North West Housing Partnership, developed this housing option for independent seniors to address the absence of affordable senior housing in the community and general market area. Designed to promote an active and community oriented lifestyle, the age restricted rental housing development includes a three story building with 60 units, and is affordably priced to accommodate seniors on a fixed income. Ten percent of the apartments serve seniors at the market rate, and there are multiple options of one and two bedroom units ranging in size from approximately 650 to 900 square feet. The first level of the development includes management services and community spaces for the residents, such as a fitness center, a resident supportive services office, and a multipurpose / community room that transitions to an outdoor patio space that can be used for social gatherings and resident activities. The property also includes an on-site walking path, which connects to a 2-mile community bike path. Additionally, comprehensive supportive service coordination will not only help seniors gain access to myriad services, but also to volunteer and activity programming, and lifelong learning opportunities. Click here to view the list of amenities for Sugar Grove Senior Living. The development is being managed by Ludwig and Company and is currently accepting applications. For leasing information, please call: 630-466-4347. Developed in 1995 as a joint venture between NWHP and MZB, Inc. The Center City project was the re-adapitive use of the vacated historic Old Douglas Hotel in downtown Elgin. The City of Elgin was involved both financially and legislatively in seeing this building become a viable housing opportunity for low income seniors in their community. The community received three awards for the quality and value it added to downtown Elgin. For information on leasing please call: (847) 622-0800. Developed in 2007, as a joint venture between the NWHP and Pathway Senior Living. Victory Centre is a full continuum community, offering 104 units of Independent Senior Apartments as well as 104 units of Supportive Living Units. A unique approach to campus living for seniors, the Victory Centre offers an array of amenities including scheduled activities, on-site beauty/barber shop, library/computer rooms, on-site medical and PT. For leasing info call: (630) 213-0100. 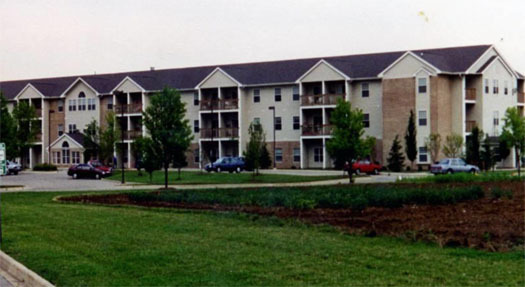 NWHP’s first solo development, built in 1997 consist of 80 units of affordable senior rental housing. Community leaders realized they needed additional housing of this type and asked the Partnership to develop such a project. 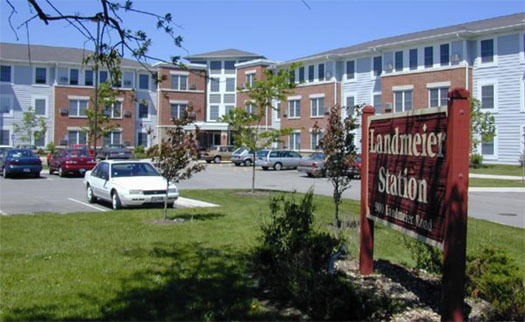 At Landmeier Station seniors are offered scheduled activities, on-site beauty and barber shop, visiting medical professionals, and transportation to local shopping. For leasing information call: (847) 357-8861. 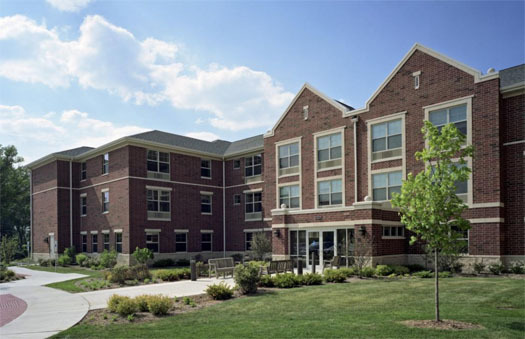 Developed in 1997, NWHP served as a consultant on this 122 unit mixed income rental senior building. At the time of its construction it was the largest building in town. Anderson Farms has become a vibrant community with public gardens for its residents to cultivate and show off to the larger community. For additional information and leasing information call: (630) 801-9850. Completed in 2011, The Maywood Apartments is a 26 unit multi-family, Neighborhood Stabilization Program funded project. The NWHP was selected by the West Cook County Housing Collaborative to own and operate this community. Construction management provided by IFF. IFF and NWHP were proud to work together on this development, which was the first NSP project completed with Cook County funding. For leasing information call: (773) 989-8000.